Architects will help you dream and Contractors will make the dream a reality. However, when building a new home you need to work closely with both.Getting the look and the performance you need is attained through proper planning, Kulp's of Stratford's sales staff will help you make those decisions. 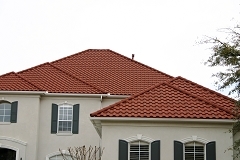 Whether you are looking for better insulation or need to see options for your new roof, our team can help. Give us a call to 715-687-3368 to set up an appointment. Or stop by our show room located 2 miles east of Stratford on Highway 153.